How Many Calories Are Burned During a 5K Run? If you've just finished a 5K or you plan to in the near future, it's likely you'll want to celebrate the exhilarating feeling of crossing the finish line. While you should celebrate your accomplishment, just be careful your celebration doesn't go overboard. The calories you burn during your 3.1-mile run aren't enough to compensate refueling with a delicious pastry or slogging back a whipped cream-topped double latte coffee drink, as most people will only burn off between 300 and 400 calories during a 5K (3.1 miles). Keeping tabs on your food and workouts using an online calorie tracker is a great tool to set yourself up for success. To calculate the number of calories expended during a 5K race, there are primarily two major factors to consider—size and speed. 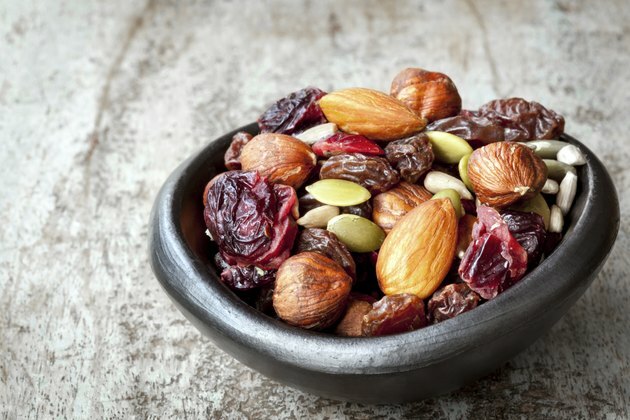 Below are the calculations to help you figure out what that looks like for you and some healthy snack ideas that won't totally negate the hard work you put in during your race. The amount of calories a person uses during exercise is dependent on the intensity (speed or incline) and the individual's body mass. The old rule of thumb is that one mile of running equals 100 calories burned. However, petite people don't expend the same amount of calories in the same amount of time as a larger person. For example, based on data from the U.S. Army, a 100-pound person running for one hour at 5 mph burns 384 calories, while a 200-pound person burns 768. Running faster also burns more calories. A 150-pound person running for one hour at 5 mph burns 576 calories, yet at 10 mph, burns 900 calories. Many environmental conditions can also increase or decrease calorie burn while running, including temperature extremes, varied terrain and windy conditions. Additionally, the level of your fitness can affect your calorie-burning ability. According to Brian Mac, a British track and field coach, research shows that highly conditioned athletes will burn fewer calories than a less fit person of identical size for the same exact workout. The rationale is that the trained runners perform at a lower percentage of aerobic capacity than the untrained person and therefore require fewer calories to support their oxygen intake. The Army Fitness Manuals lists formulas for calculating calories burned based on body weight. Instead of being measured by mile, the result is measured by minute. 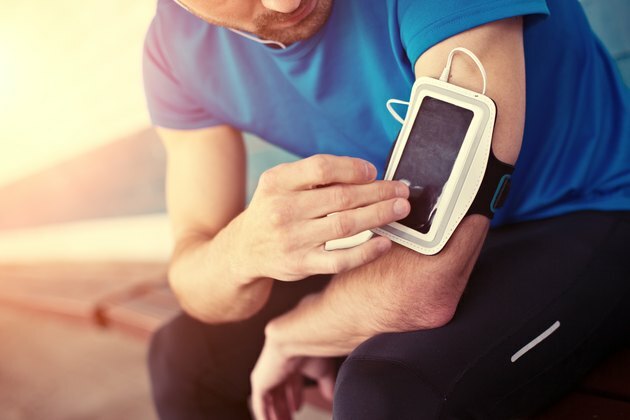 So to calculate your 5K calorie burn, record your total finish time and plug it into the formula. So for example, if you weight 150 pounds and run at 5 mph, means your calculation looks like this: 0.064 x 150 pounds x 37.2 = 357 calories burned in 5K. Keep in mind, with the above chart, running at 5 mph means you're running for 37.2 minutes, 6 mph gives you a 31-minute finish time, and 10 mph and 12 mph mean you finish in 18.6 minutes and 15.5 minutes, respectively. 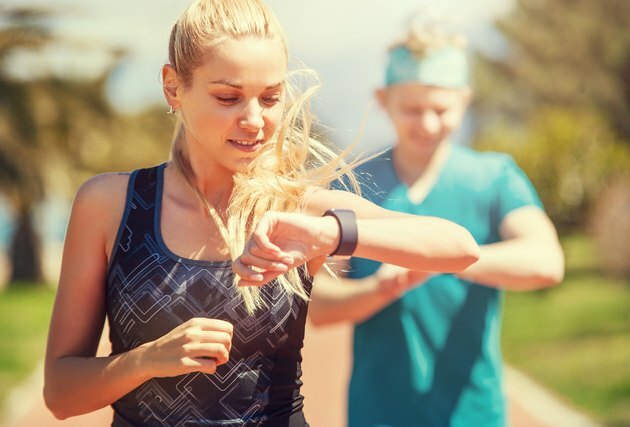 While this formula can be used to keep track of how many calories you burn running in both 5K races and everyday training, you'll still need to track the other side of the equation–the calories you consume. 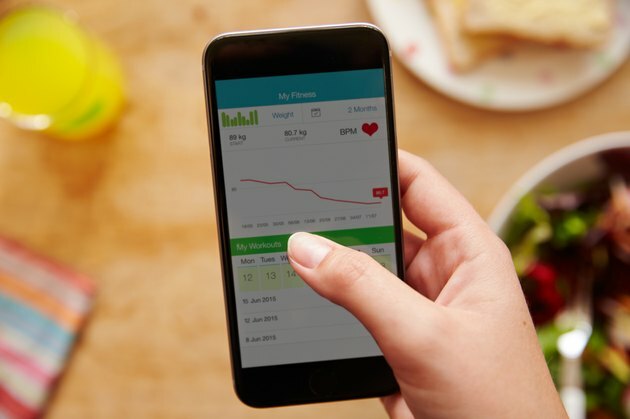 By keeping keeping track in a journal or by logging your meals and exercise in Livestrong.com's MyPlate Calorie Tracker, you can see your weekly totals to find out if you've burned enough calories to lose a pound—a 3,500-calorie deficit. This represents approximately ten 5Ks for the average person. But if you're not trying to lose weight, the good news is that a chocolate éclair (sized five inches by two inches) has only 262 calories, leaving you wiggle room to put cream in your coffee after your big race. And yes, at around 150 to 200 calories, you can also enjoy a post-run beer as a celebration. Already looking forward to your next race? Maybe you want to conquer an even greater distance this time. Here's exactly how far you'll run in each race and the approximation of how many calories you'll burn during each (based on a 150-pound person). A 10K equals 6.2 miles and burns between 500 and 700 calories. A 15K equals 9.3 miles and burns between 800 and 1,000 calories. A half-marathon equals 13.1 miles and burns between 1,100 and 1,500 calories. A marathon equals 26.2 miles and burns between 2,300 and 3,000 calories. An ultra marathon is anything over 26.2 miles (but we'll say 50 miles for this example) and burns between 4,500 and 5,700 calories.